the finny tigers of its waters. White Pointer South is a fascinating compendium of shark facts and Tasmanian maritime history. It also represents the first detailed examination of Tasmanian white shark captures, encounters and attacks ever undertaken. Here the reader can chart the course of human/shark interactions in the island state, from the founding of the British colony in Van Diemen’s Land to the dawn of the twenty-first century. 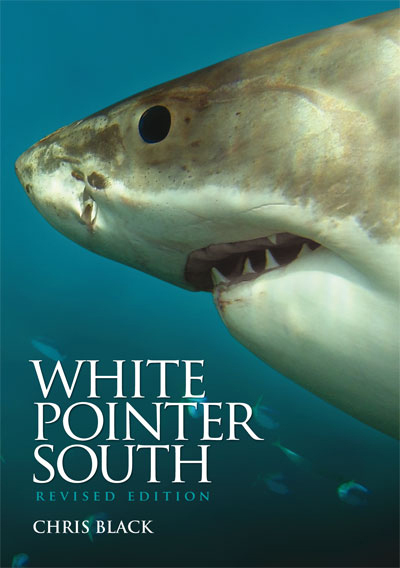 Richly illustrated throughout, White Pointer South aims to give water-users and the general public a better understanding of the occurrence of white sharks in Tasmanian waters and the threats which continue to beset these magnificent predators as they negotiate the island’s rugged coastline. Read about changing human attitudes towards sharks in Tasmania – from the fear and loathing of sharks in general, to the enactment of legislation designed to protect the most feared shark of all from exploitation. Examine Tasmania’s nine recorded shark attacks in an unprecedented and detailed survey that deals with facts rather than the sensationalism which typically attends this subject. Relive exciting and sometimes harrowing encounters with white sharks through the firsthand narratives of Tasmanian fishermen, fish-farmers, divers and surfers.